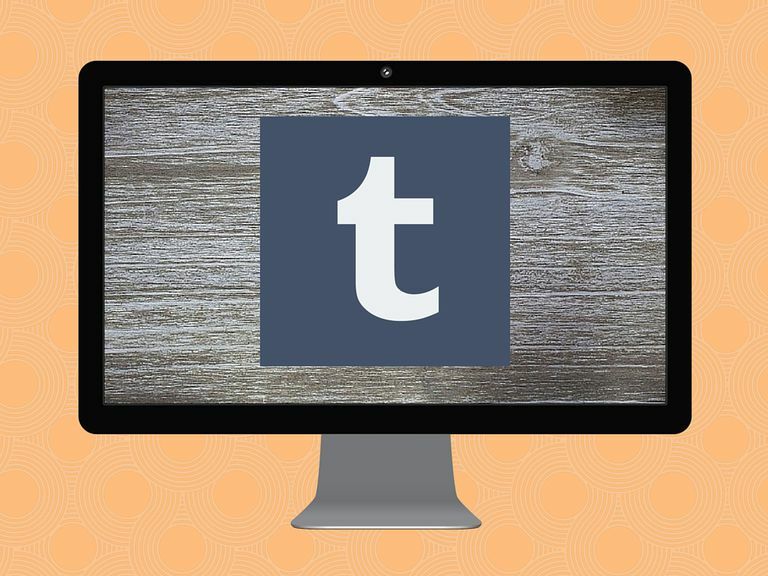 As of November 2018, the hottest social blogging platform on the web, Tumblr, was home to over 360 million blogs. Dang, that’s a lot of blogs! If you’re looking to start up a new Tumblr blog, you'll probably have an impossible time trying to get a simple Tumblr URL to go with it. You’ll likely have to incorporate at least two or three words into your Tumblr URL since the most obvious words and names have already been taken. Here are a few simple ways you can get some ideas for great Tumblr blog URLs if you’re having a hard time coming up with one off the top of your head that isn't taken already. There’s nothing quite as simple as heading over to Thesaurus.com and plugging in any word to see what synonyms there are to use in your Tumblr URL. Just type any word into the search field and you'll get a list of words with similar meanings. Think about your blog’s theme, the things you plan to post, a word that describes your interests, an acronym or anything else, and starts searching. You might be surprised by how many great words show up that people on Tumblr haven’t used yet. Stuck on word ideas to get you started? Why not use a nifty tool like WordGenerator.net to help you out? Just click on “Generate Random Words” to get new ideas, and keep clicking until you see something you like. The definition of each word is also provided beneath the word itself. And you could even make a list of those words you kind of like from WordGenerator.net and plug them into Thesaurus.com to see what else you might be able to come up with. The possibilities are endless here. Even if you’ve picked out a wacky word to use, you might have a slim chance of getting a one-word Tumblr URL. If you can make it longer by using at least two or more words, you’ll have better luck. Some people use complete phrases in their Tumblr URLs, so if you’re not bothered by an extremely lengthy URL, this could be a good route to take. You’ll have a really good chance of getting the Tumblr URL you want if you get creative by incorporating popular slang terms, acronyms, numbers or even completely misspelled words. Sure, it looks goofy, and it might not be an ideal option for a corporate Tumblr blog but if you’re just setting up a casual blog then it could definitely work. As an example, you could simply replace any letter Os with the number zero. Or you could incorporate the acronym "LOL" in it. It’s a simple change that could potentially make a big difference. Sometimes people advertise free Tumblr URLs or publicly post about being interested in trading a good one they might have, so have a look through tags like good URLs and URL ideas to see what's out there. And if you have an existing Tumblr blog already, you could also make a post and tag it with one of those tags to ask for help with renaming your blog, which is something else a lot of people do on Tumblr. Keep in mind that your Tumblr URL isn’t set in stone. You can actually change it anytime you want by accessing your settings, selecting your blog and changing the URL. Tumblr frowns upon users who register lots of new blogs under the same account just to hold their URLs. If you get caught hoarding URLs, your account could be suspended. So play nice, use these ideas to come up with unique URLs, and don’t fret if you think you might want to change it again in the future. You may even want to purchase your own domain name and set it up so that it points to your Tumblr blog.